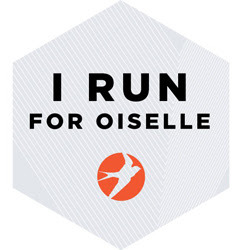 Goal #1 – Run 4 times this week. Only made it out for 3 runs this week (Wednesday, Friday, and Sunday). Whomp whomp. Goal #2 – Put all of my clean clothes away in their appropriate drawers (I am guilty of folding and putting them in the laundry basket, but never emptying... oops). Completed! Goal #3 – Strength train 2 times this week (Wednesday and Friday). Check. Goal #4 – Drink at least 6 cups of water per day. Every day except for Saturday, which might have been spent drinking a few adult beverages and some pop at a baseball game. I did manage 3 cups, but not enough. I have to admit, getting 6 out of 7 days for this goal is still a big accomplishment for me, someone who isn't a huge fan of water (for the most part). Goal #1 - Hit 10,000 steps a day (progress tracked with my Fitbit Flex). I can hit that goal no problem on days that I run, but on a rest day, I'm lucky to hit 8,000. Goal #2 - Drink no more than 4 pops in the week. I usually have 1 per day, but limiting to 4 should help with my continuance of drinking more water a day (will try for 7 cups a day this week!). Goal #3 - Break 40:00 at 5k race Saturday. The last 5k I ran in February, I just missed this goal with a time of 40:08. Goal #4 - Track and log all foods on Myfitnesspal app. I was being super diligent with this before the new year, and have been quite lax since 2014 began. 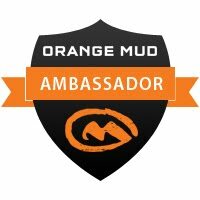 I'd like to get back into it, and be able to see how what I eat affects my runs. I am still keeping those April goals in mind, as well. 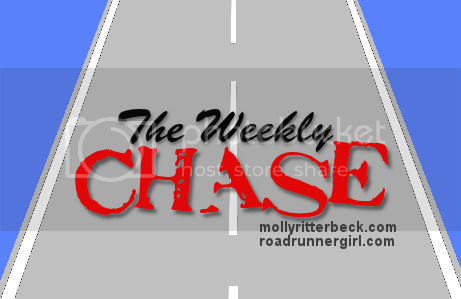 Thanks to Mindy over at Road Runner Girl for hosting this week's Weekly Chase :) Head on over and see what other people's Weekly Chase goals are, and add your own link if you are participating! Have a great week, everyone! I love that putting away laundry is one of your goals...haha. Although it seems silly, that is often a goal of mine too!